Proper development of the cranio-facial complex and skull imply the proper function of the tongue and jaw muscles. 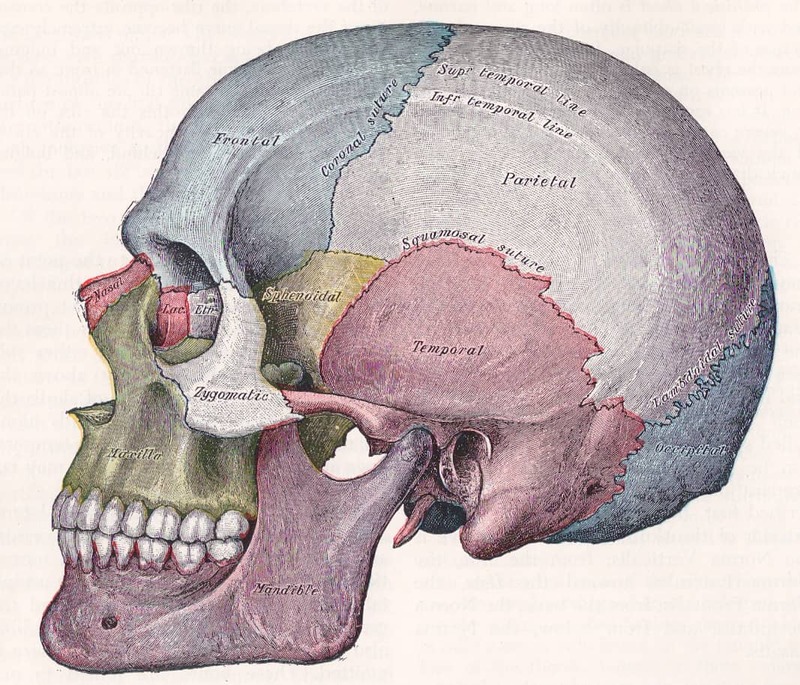 Form and function are tied together; The bones of the skull will develop according to the muscles surrounding them in accordance to Wolff’s law. Proper tongue posture (AKA mewing AKA orthotropics) is the starting point. The correct tongue posture of a strong tongue combined with strong muscles of mastication (the chewing muscles of the Temporal, Masseter, Pterygoid) are required to grow the face to the beauty of whatever phenotype that the person exhibits. For all cases this proper development results in under-eye / orbital support, properly aligned jaws, ideal spinal posture, and most importantly in a large unobstructed airways of both the nose and throat. If you are reading this and recognize that your development has not occurred as it should have, do not be terribly disheartened! The 28 bones of the human skull never fuse together in a healthy adult, and a restoration of correct muscle function will result in the slow but steady restoration of proper skull form (and as a result, spinal stability). Your improper muscle posture is subconscious at this point, and you will have to retrain your conscious mind to maintain proper postures until you are (literally) doing it in your sleep. Some muscles may be too weak, some may be too tight, and some may be completely out of place: The tongue is the most obvious starting point from which to begin your process of correction. If you require clarification on anything discussed in this article, or want to share your own experience, please see our helpful community forum! What parts of the mouth are used in Tongue Posture / Mewing? You are going to need to take a tour of the inside of your mouth to establish your bearings, and will do so with the tip of your tongue.We are not putting you in proper posture yet, just exploring the roof of the mouth with the tongue. There is a picture below for better understanding. First, put the very tip of your tongue directly on the point between your two front teeth (Incisors) where they meet the gum line. If you move the tip of your tongue around slightly in this area, you’ll feel a hard ridge that is directly in line with the space between your two front teeth – the Incisive Papilla. It is here that the tip of your tongue will be at home – We will call this the Tip. 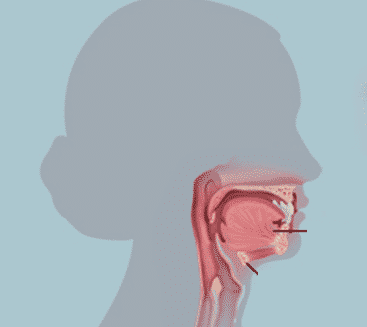 From this position, keep the tip of your tongue pressed to the roof of your mouth and slowly follow that Incisive Papilla ridge along the middle of the roof of your mouth. The first thing you will encounter are a series of ridges called the the Palatine Rugae – We will call these the Front Ridges. 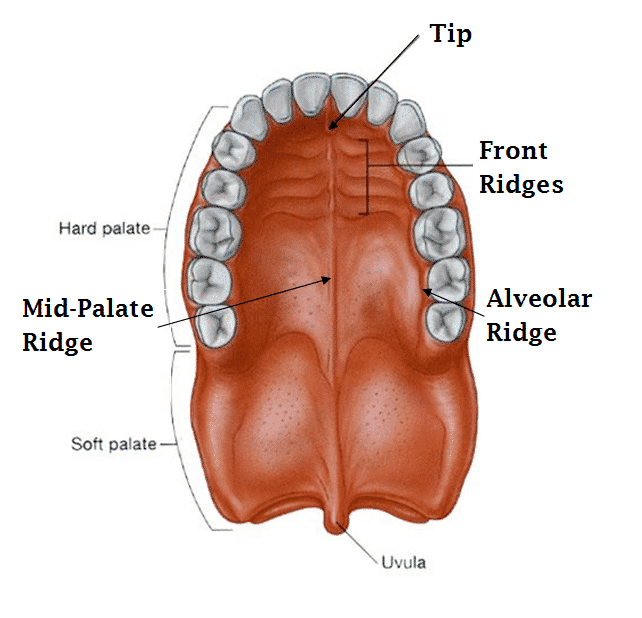 As your move back further along the middle of the roof of the mouth, you will notice a ridge along the middle (the Median Palatine Raphe). We will call this the Mid-Palate ridge. So far you will notice that the roof of your mouth is hard, which is suitable for the area of your Hard Palate. Continue your bring the tip of your tongue further back in your mouth until you abruptly reach a soft and fleshy area, the Soft Palate. With the tip of your tongue, now explore your mouth in the area where the teeth meet your gums. The ridge along this area is called the Alveolar Ridge. What is the correct resting tongue posture? These steps are taken in order of importance. You may not be able to accomplish all of them if your have improper development, but maintaining parts of the proper posture will move your bone structure to a position where you can do everything. Put the tip of your tongue at Tip, where the middle of the top two incisors meet the gums. Keep the tip of the tongue locked here! Flatten out area behind the tip of your tongue against the Front Ridges. Keep this position locked. The outside edges of your tongue should either be fitting snugly along the Alveolar Ridge or otherwise pressing against it if there is not enough space. This position needs to be held any time you are not eating/drinking/swallowing or talking, to the point where it is embedded subconsciously and you are still doing it when you wake up. You should be breathing through your nose exclusively. Every time you swallow, your tongue in this position will correctly impart multiple pounds of force into the roof of your mouth and reform the skull. As you maintain this posture, make sure not to keep your teeth far apart, they should be comfortably making contact without clenching – this is what will keep your tongue glued to the roof of the mouth all day. If you are unable to complete one or more of the steps, part of your development needs to be corrected to bring your upper palate into a proper shape for your tongue to fit. If there is asymmetry in your mouth and skull, some parts will require more conscious force and applied pressure. Common issues with tongue posture are discussed here, as well as on our community forum. This is a field of ongoing research driven by the experiences of patients who are being seen by practitioners or training themselves at home. In the coming months and years you will see much more information hit the mainstream about the importance of proper tongue posture and jaw development.